We are a small fiber farm in northern Vermont dedicated to high-quality wool and sustainable preservation of pastureland. Want to meet our sheep and see what happens around the farm? Click HERE to check out our farm blog! A Community Supported Agriculture program is a chance for you to support a farmer by purchasing an annual or biannual share of the the products they produce and receive them when made available. Farms are at the mercy of a variety of factors such as weather and pests. Being part of a CSA says that you support a farm in times of hardship as well as bounty. Our CSA shares are now available for purchase! You will receive all finished yarn together in the spring. Exact dates will depend on when we receive the yarn back from the mill, and when dye batches are completed. We will send regular updates so that you can follow along with your wool's process being turned into yarn! How do I receive the yarn? If you know someone who enjoys (or you enjoy) knitting, felting, and/or making quilts/comforters, our CSA share may be the perfect gift! You don't even have to be local! ONLY 10 Full Shares available for the spring 2018 season! Get yours while they're still available! Our sheep are Border Leicester, Bluefaced Leicester, Romney, and Wensleydale crosses. This yarn is strong and warm, perfect for outerwear clothing such as sweaters, mittens, and hats. 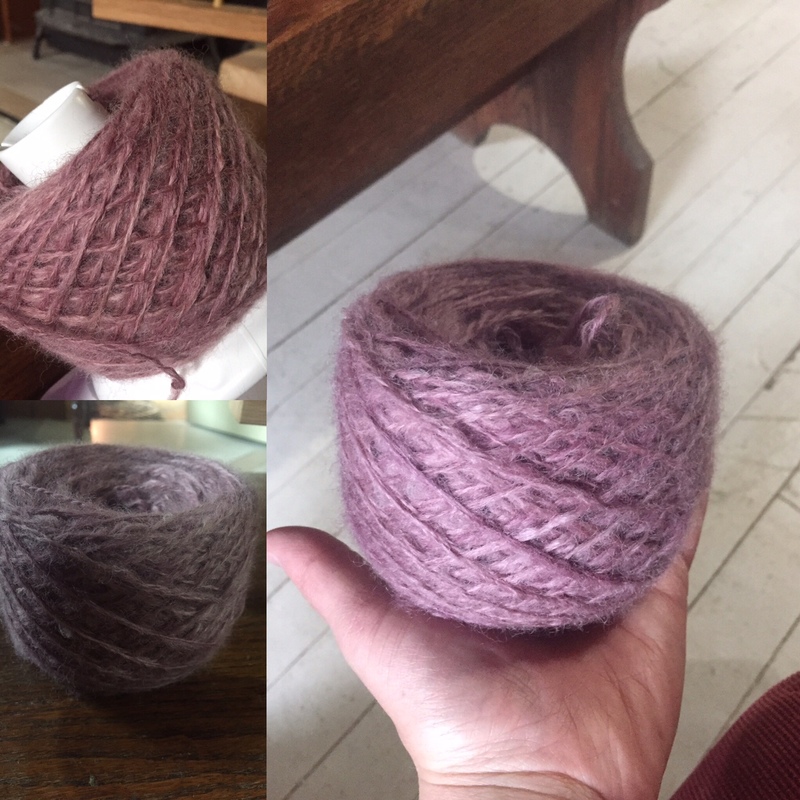 Each skein will be labeled by sheep and by breed. All skeins will be worsted weight. We do not currently offer batting or roving but plan to in the future. If this is something you are interested in, please let us know in the comments section of the Google Form. 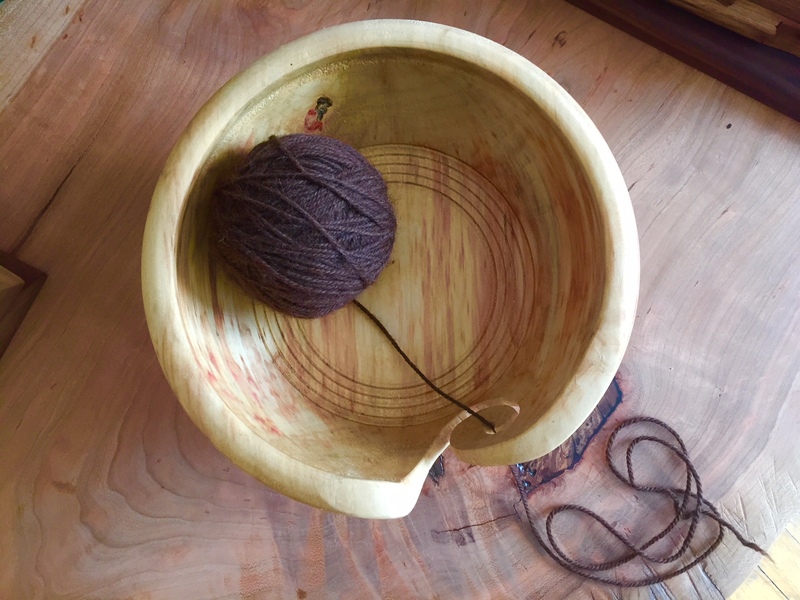 This year we will be randomly choosing one lucky CSA member to receive a hand-crafted yarn bowl similar to the one below made at Woolenwood Farm by Knot Boards Woodworking. They are made from sustainably harvested local wood and will be shipped with your spring share. Yarn bowls will also be available for purchase soon! Click >>FULL<< to purchase full shares. Multiple full, half, or a combination of the two types of shares can be added to your cart if you would like to purchase more then one. Yarn Bowls made to order. Hand-crafted by Knot Boards Woodworking at Woolenwood Farm. Can be added to any CSA Share order shipment or separately to arrive sooner! 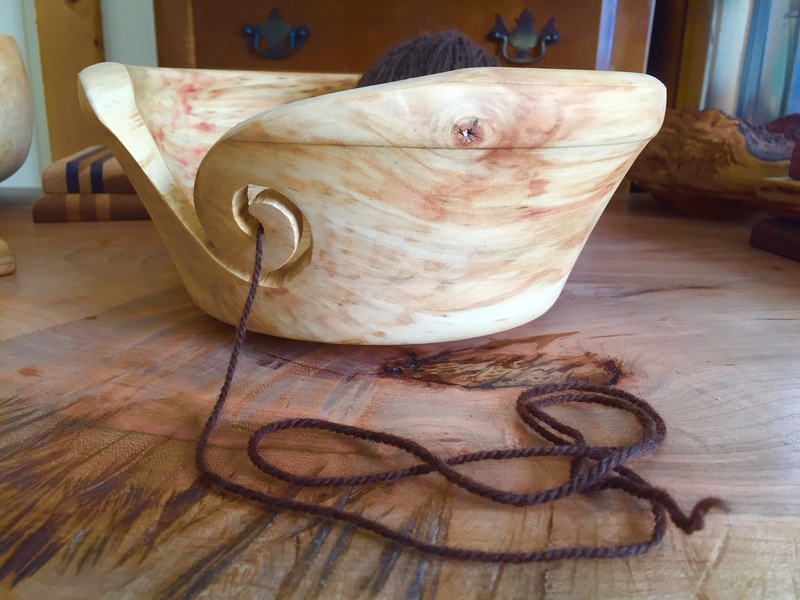 Bowls will vary in color and grain from picture as each is made to order.